47,6 x 62,2 cm - 18 11/16 x 24 7/16 in. Charles Deschamps Gallery, Londres, avant avril 1876 - Capitaine Henry Hill, Brighton, jusqu’en 1889 - Vente Hill, Londres, Christie’s, 25 mai 1889, n° 28 - Montaignac pour Michel Manzi, Paris - Eugene W. Glaenzer & Co., New York - William Andrew Clark, Washington, 1903-1926 - Washington, The Corcoran Gallery, 1926 (Don William A. Clark) - Washington, National Gallery, 2014. Londres, Deschamps Gallery, avril 1876, n° 131 - Paris, 6 rue Le Peletier, , 1877, n° 38 - New York, Wildenstein & Co., 1959, Masterpieces of the Corcoran, (n.n. ), repr. p. 29 - Seattle, Century 21 Exposition, World's Fair, 1962, n° 42 (repr.) - New York, Acquavella Galleries, 1978, n° 15 (repr.) - Washington, Columbus, Evanston, Houston, Tampa, Omaha, Akron, 1983-1985, n° 41 (repr.) - Washington, San Francisco, 1986, n° 45, repr. p. 216 - Paris, Ottawa, New York, 1988-1989, n° 128, repr. p. 233 - The William A. Clark Collection: Treasures of a Copper King, Yellowstone Art Center, Billings; Montana Historical Center, Helena, 1989, (n.n. ), (repr.) - Antiquities to Impressionism: The William A. Clark Collection, Corcoran Gallery of Art, Washington, 2001-2002, (n.n. ), (repr.) - Detroit, Philadelphie, 2002-2003, pl. 146, repr. p. 137 - Washington, Corcoran Gallery, 2003-2004, The Impressionist Tradition in America, (s.c.) - Rome, Complesso del Vittoriano, 2004-2005, n° 26, repr. p. 228 - Londres, Washington, 2005-2006, n° 4, repr. p. 27 - Canberra, National Gallery of Australia, 2008-2009, no. 51, (repr.) 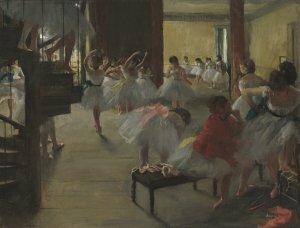 - Washington, Phillips Collection, 2011-2012, Degas dancers at the barre: count and counterpoint, n° 6, (repr) - Washington, National Gallery, 2014-2015, Degas' Little Dancer (Sans catalogue). The Echo, 22 avril 1876, p. 259, n. 36 - Illustrated Handbook of the W. A. Clark Collection, Washington, 1932, p. 32 - Mongan, 1938, p. 301 - Venturi, 1939, II, p. 195 - Rewald, 1946, p. 233 - Lemoisne, 1946-1949, II, n° 398, repr. p. 217 - Browse, , n° 45 - Cooper, 1954, p. 61 n. 4 et n. 6 - Pickvance, 1963, p. 259, 260-263-265 - Roberts, Burlington Magazine, CV, juin 1963, p. 280-281 - Lassaigne, Minervino, 1974, n° 490, repr. p. 109 – Dunlop, 1979, p.91 - Tübingen, Kunsthalle, 1984, n° 96 - Paris, Centre culturel du Marais, 1984-1985, fig. 140, p. 165 (repr.) - Washington, National Gallery, 1984-1985, p. 43-44, fig. 2.1, p. 44 - Detroit, Philadelphie, 2002-2003, pl. 146, p. 137 - Antiquities to Impressionism, The William Clark Collection. Corcoran Gallery, 2006, (n.n. ), repr. 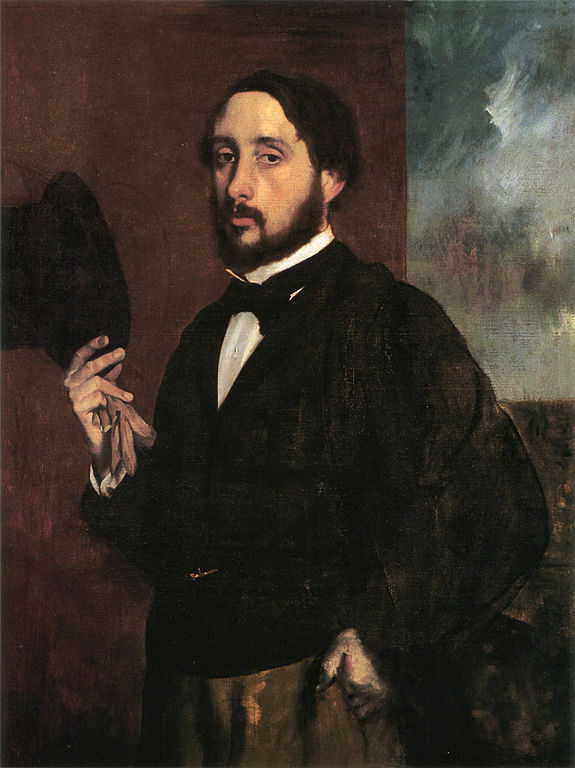 p. 122 - Degas in the Norton Simon Museum, 2009, fig. 28a, p. 208 (repr.) 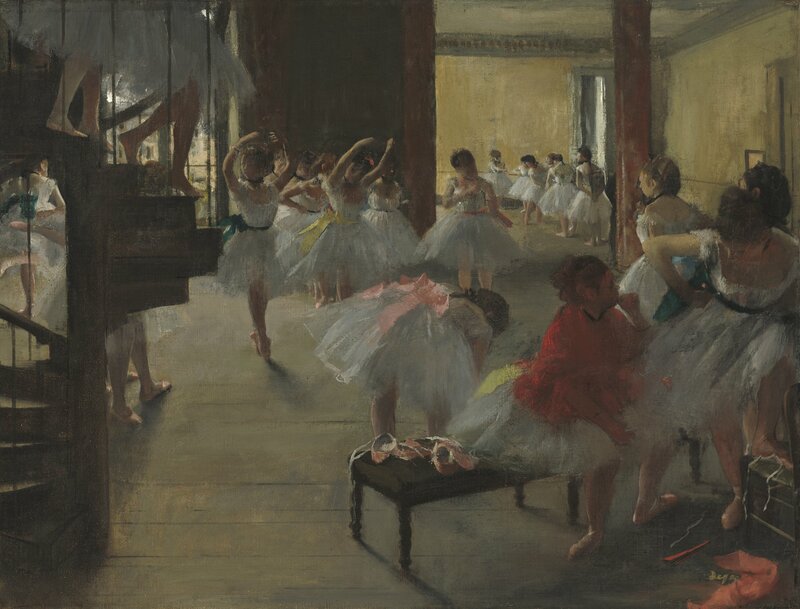 - Degas’ Method, 2013, fig. 39, repr. p. 81 - Karlsruhe, Staatliche Kunsthalle, 2014-2015, fig. 8, repr. p. 20 - Marseille, musée Cantini, 2018, repr. p.94.